Timeless pieces across a range of periods can provide the "just right" finishing touch to a well-designed space. I assist clients (and their designers) to style their home by scouting out vintage and one-of-a-kind accent pieces and accessories that create a collected and layered effect. 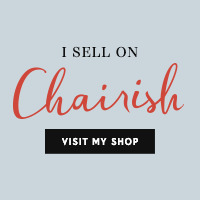 A curated selection of home design furnishings and accessories can be found on my online Chairish shop or come and take a look at my full inventory in person at ART EN OBJECT atelier, open by appointment -- see details in "Contact" tab. Please contact me if you are interested in any of my online objects.